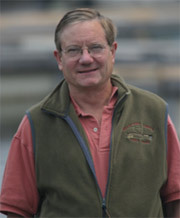 In anticipation of upcoming blog discussions with Jim Stone of Rolling Stone Ranch in Montana, here is a link to his 2010 testimony before U.S. House of Representatives Subcommittee on National Parks, Forests, and Public Lands. It is all about the 20-year-old Blackfoot Challenge and a new organization called Partners for Conservation. Why should you be interested? Read it only if you are interested in landowner success. 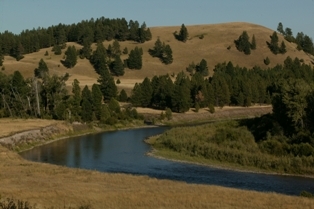 The Blackfoot Challenge, which received grants from the National Fish & Wildlife Foundation during my tenure, is made up of local ranchers within the 1.5 million acre watershed of the Blackfoot River in Montana. Thus far, it has achieved the protection of 90,000 acres of private lands in perpetual conservation easements and a community-guided plan for the resale of 88,000 acres of corporate timber lands in the area. Partners for Conservation has a primary goal of advancing solutions that will support collaboration around working landscapes to benefit present and future generations. PFC aims to represent the private landowners and partners that are practicing innovative, measurable, and effective conservation practices on the ground for the long-term health and productivity of working landscapes, rural communities, and natural resource economies across the United States. Return next week to hear what Jim had to say in our recent conversation.